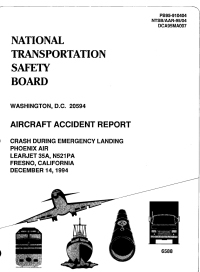 Improperly installed electrical wiring for special mission operations led to an in-flight fire that caused airplane systems and structural damage and subsequent airplane control difficulties. Crashed on East Olive Avenue while on approach to Fresno Air Terminal. PROBABLE CAUSE: "1) improperly installed electrical wiring for special mission operations that led to an in-flight fire that caused airplane systems and structural damage and subsequent airplane control difficulties; 2) improper maintenance and inspection procedures followed by the operator; and 3) inadequate oversight and approval of the maintenance and inspection practice by the operator in the installation of the special mission systems."